(Unfinished) After the horrifying death of his mother, Chance is left with no choice but to take care of his 12 year-old sister, whom he has disliked ever since. But, no matter how he treats her, Kit is always loyal to her brother. Will Chance ever be a true big brother? It was one of them hot days in Mega Kat City and, somewhere in a salvage yard, there were two male Kats in their light blue sweaty uniforms and wet red caps covering their hot furry heads, fixing a rusty old van that looked like it was about to fall apart, and the engine wouldn’t even start. “Crud, this is the fifth time we had to fix this engine of this good for nothing big piece of junk!” yelled a muscular light brown Kat named Chance. “You said it, Chance. The oil keeps leaking out too,” answered a dark chocolate skinny Kat named Jake whose sweat was dripping on the ground more than the oil. “Can’t you see I’m already busy?” he said, looking for the hole wear the leak was coming from. “Well, I can’t either!” Chance’s hands were full of tools and his head was under the engine hood. “Wait, I almost got it…” Jake was really concentrating. “Hurry up, will you? We might lose another customer!” Chance was already freaking out. The scream made him hit his head on the engine hood and also dropped all the tools on his feet! “Crud! Yeow! Yeouch!! !” The muscular Kat fell to the ground. “No no no, Ms. Furlong, he’s doing alright… Wait, here he comes.” Jake tossed the oily cordless phone to Chance, who was still in pain. “Eh, hey, mom, what’s up?” He bit his lip. “Oh, Chance, it’s been a while since we talked,” a she-kat’s voice was heard. “Look, son, I know you’re busy and all but…,” she sounded serious. “Busy, oh no, I’m not busy at all,” he quickly replied. “Of course I’m sure, mom.” Chance knew there was something big going on. “Uh, that’s it?” he said, rubbing his head. “So, I…I… I can’t leave your sister at home.” She sighed. There was a pause for a few seconds, then Chance continued the conversation. “Mom, I, I, don’t think I can.” He sounded upset and a bit angry. “Whatever.” Chance rolled his eyes. “Just for this weekend please!” She was about to break into tears, and Chance didn’t want that. “Oh, thank you, thank you!” She didn’t feel like crying anymore. “I’ll just leave Jake to her… He can manage,” he scoffed. “I hope so…” He felt like hitting his head on the hood over and over. “Yup.” He was ready to hang up. “I love you too, mom.” He hung up and dropped the phone on the ground. “What was that all about?” Jake had finished the job with the engine the whole time. “Oh, you mean Katrina? That cute adorable little fur ball!” Jake beamed. “That was the best five years of my life!” He picked up all the tools and dumped them in a box. “Do I freakin’ care about her…? No! It’s a long story, ok!” He kicked the box and knocked everything out. “Fine, Chance, be that way. I don’t even want the $50 for all I care.” Jake frowned and walked away. Ok, Chance hates his sister so much, and you’ll know why later on. Her name is Katrina Furlong. Their father left them after she was born, so their mom had to care for them, and the attention was stuck on Katrina, making Chance feel miserable and jealous. Ms. Furlong used to work with the Enforcers a long time ago since she was one of the top pilots in Mega Kat City. Pls review and tell me what you really think. Poor Chance, I wonder how he’s gonna survive? 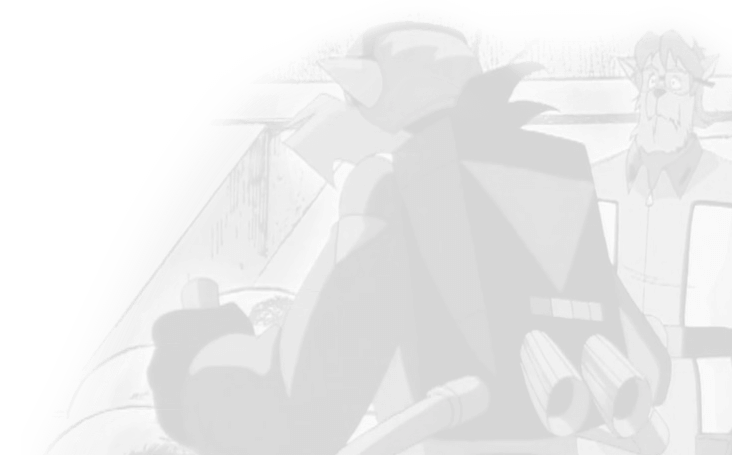 The SWAT Kats have a new villain on their paws, who’s more clever and cunning than Dark Kat himself. 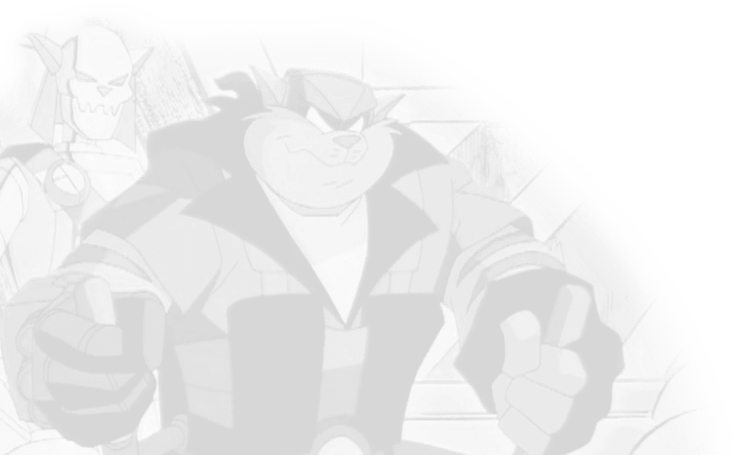 And, he’s come to put the SWAT Kats through a high stakes test of skill… involving a nuclear power plant and a lot of bombs. First of the Seeker Trilogy. Co-authors Kristen Sharpe and Seeker.